We’ve seen it at Wetpaint, but it’s not just happening for us. Social success and search success now go hand in hand for all web publishers. 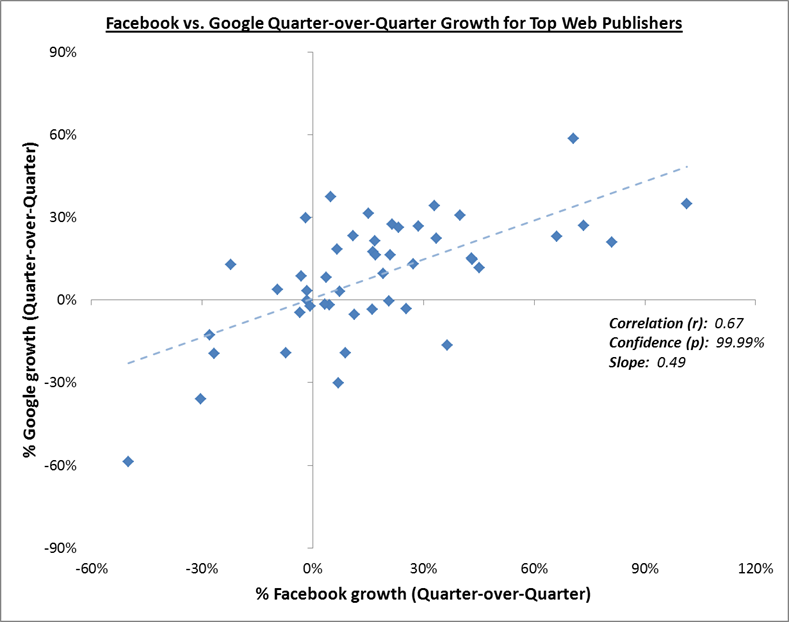 For every 1% growth or decline in Facebook visits, the top 50 web publishers in our Media Industry Social Leaderboard saw a corresponding 0.5% change in Google traffic. Correlation but not causation, you say? I have it on good authority (aka Search Engine Land’s Danny Sullivan) that social signals will soon be the leading factor (if they’re not already) in search engine rankings. It’s time to drop the notion that an investment in social has to come at the expense of an investment in search. 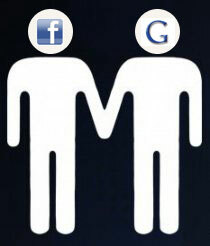 It’s now abundantly clear: social traffic and search traffic go together. Update: The original version of this post included an incorrect chart. The correct chart is now shown. « Facebook’s Reach Generator, Now on Sale for 100% Off!